WEST MELBOURNE, Florida -- The Brevard County Grand Jury on Tuesday, March 11, returned a first-degree premeditated murder charge against Michael Maxwell, a 20-year-old Palm Bay man, for the Nov. 24 shooting death of 22-year-old James Wynn, West Melbourne. The Grand Jury heard testimony from the Brevard County Medical Examiner, a West Melbourne Police detective, a Brevard County Sheriff’s Office crime scene investigator, and a lay witness before returning the indictment. Maxwell was arrested by West Melbourne Police on Feb. 18 for Wynn’s murder while he was being held in the Brevard County Jail on a bond revocation for a pending case. Assistant State Attorney Michael Hunt said Wynn’s body was discovered on Nov. 24, 2013, behind two houses near his home at 1090 Hollister Dr., West Melbourne. 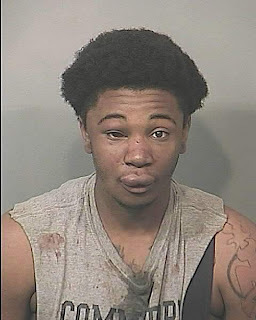 Maxwell is scheduled for a first-appearance on the charge Wednesday at the Brevard County Jail.